I feel like we eat the same side dishes over and over again. Actually, I know we do because I rarely have any of them to blog. I would much rather find a recipe that is a full meal than have to choose a protein, vegetable and starch for dinner each night. I really want to share more side dishes with you and I’m hoping the Whole30 will allow me to do that since I’m using it to force me to plan away from my usual meals. Obviously, this wouldn’t be approved for the diet, but I made this for dinner a few weeks before I started. 1. Heat olive oil over medium heat in a skillet. Add onions and cook for 3-5 minutes or until softened and lightly golden. Add garlic and cook for 1 minute more. 2. Add the vegetable broth and rice and bring to a boil, then reduce heat to low and allow to simmer for 20-30 minutes or until liquid has evaporated and rice is tender. 3. Season to taste with salt and pepper, garnish with the rosemary and stir in the Parmesan cheese. 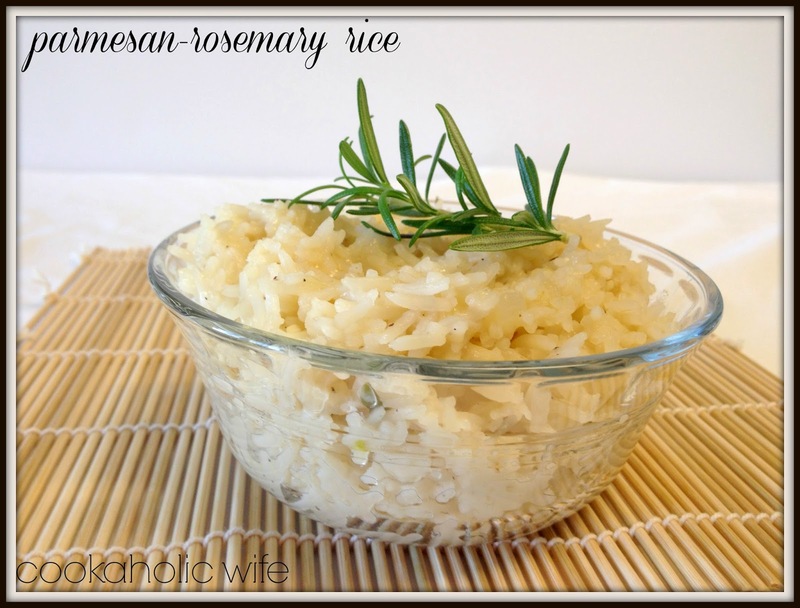 Since my rosemary plant is thriving I am always on the lookout for recipes using fresh rosemary. 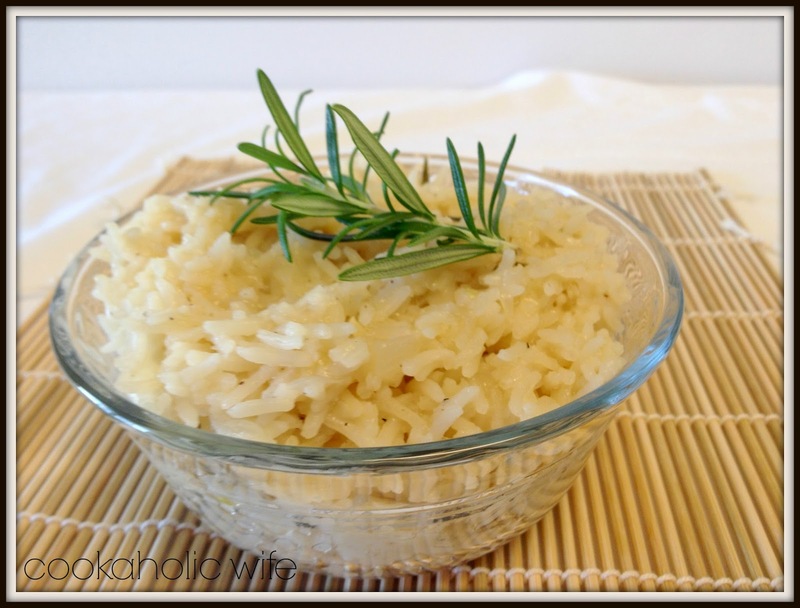 The flavor came through nicely and we really liked this version of rice.